Elegant sterling silver stud earrings featuring a matched pair of white opal doublets. The earrings are made from Sterling Silver ( 925 ) to a high-quality professional finish by our jewellers. 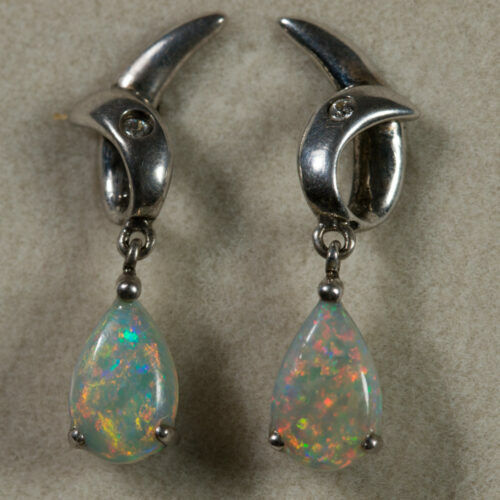 The opals are solid natural Australian opal from an unknown opal field. The opals have a vibrant green and red shine.